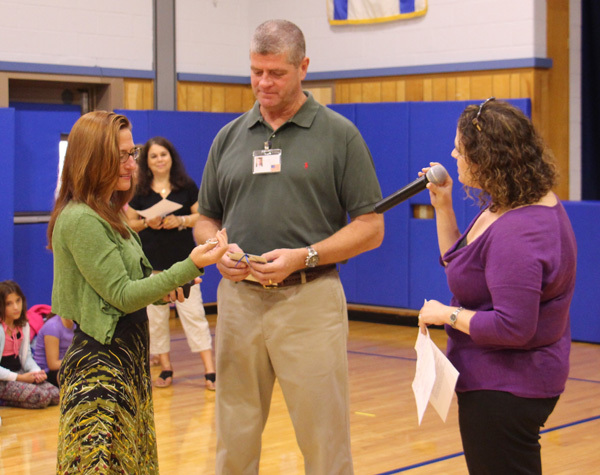 Michael Mault receives a Tefilat Haderech prayer keychain from GOA lower school principal Carrie Siegel, right, and program director Gena Jarmel. ON SEPT. 23, Golda Och Academy lower school students and faculty bid “bon voyage” to Michael Mault, a member of the West Orange school’s security team, who embarked on Sailing for a Solution, a 44-day voyage to raise funds to fight glioblastoma, an illness that took the lives of his mother, brother, and a close friend. He is serving as a trainee crewman aboard the Europa, a 105-year-old tall ship, that was set to sail across the Atlantic, from the Canary Islands to Uruguay, traveling 5,000 nautical miles. At the send-off, Mault was given a keychain inscribed with Tefilat Haderech (The Traveler’s Prayer) in English and Hebrew. It was also announced that all the tzedaka collected in classes in October will be donated to Sailing for a Solution. 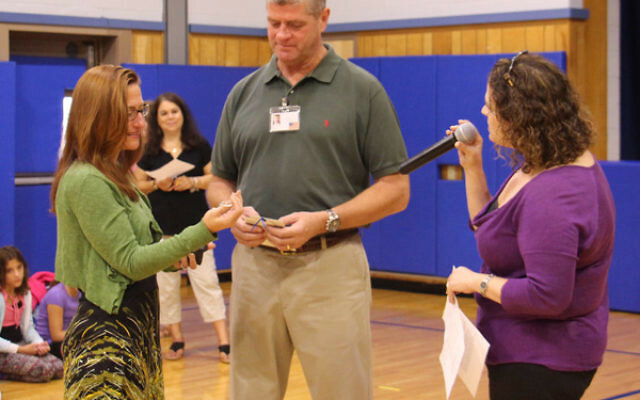 Mault also visited classes to educate students about his mission, adding that it was GOA that encouraged him to “dream big” and set his fund-raising goal to $36,000. He has raised more than $20,000 through Sailing for a Solution, 100 percent of which will be donated to the American Brain Tumor Association.